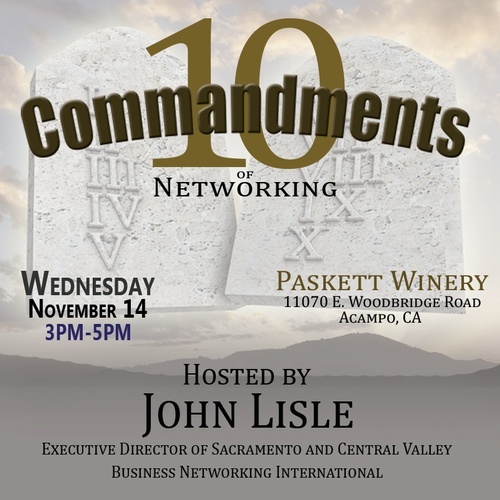 John Lisle, Executive Director of Sacramento and Central Valley Business Networking International, is hosting the 10 Commandments of Networking event at Paskett Winery on Wednesday, November 14! Don't miss this event. Email Marina Narvarte at MNarvarte@LodiChamber.com to RSVP.